Check out our interesting nuclear facts and information. Learn about nuclear power, nuclear weapons, nuclear physics, radiation, fission, fusion and much nuch more. The word ‘nuclear’ is related to the nucleus of an atom, it is often used to describe the energy produced when a nucleus is split (fission) or joined with another (fusion). The nucleus is positively charged and found at the central core of an atom. Nuclear physics is the study of atomic nuclei and their interactions. Nuclear power uses fission to create heat and electricity. The US, France and Japan are the largest producers of nuclear power. Nuclear power plants use nuclear fission (the process of splitting an atom in two). Nuclear fusion (the process of combining atoms into one) has the potential to be safer energy because it is produced at a much lower temperature. However, nuclear fusion technology has not yet been developed to operate within a large power plant. Nuclear energy comes from uranium, a nonrenewable resource that must be mined. Every 18 to 24 months, a power plant must shut down to remove its spent uranium fuel, which has become radioactive waste. 13 percent of the world’s electricity comes from nuclear power plants that emit little to no greenhouse gases. Nuclear energy is being used in more than 30 countries around the world, and even powers Mars rovers. Nuclear power facilities can produce energy at a 91 percent efficiency rate 24/7, while maintaining the method with the lowest emissions. More than 70 percent of America’s emission-free power comes from nuclear energy sources. 1 in 5 households and business in the U.S. are electrically powered by nuclear energy. 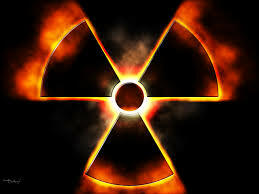 United States power plants produce 2,000 metric tons of radioactive waste every year. The building of new nuclear facilities creates between 1,400 and 3,500 jobs for construction workers, and after the facility is built maintains 400 to 700 permanent positions paying roughly 36 to 44 percent more than the average salary of the surrounding area. American nuclear energy facilities are the highest regulated plants in the world, subject to more scrutinous observations and regulations. Nuclear power provides around 14% of the world’s electricity. Nuclear power plants have a relatively good safety record but there is ongoing debate into the threat they pose, especially after widely publicized accidents at Chernobyl, Three Mile Island and Fukushima. The radioactive waste produced by nuclear reactors can be difficult to dispose of safely. The military often use nuclear reactors to power their submarines and aircraft carriers. Nuclear weapons use the energy produced by fission or fusion to create destructive blasts. While many nuclear weapons have been used in testing, only 2 have been used as part of warfare. In August 1945, near the end of World War 2, the United States used atomic bombs on the Japanese cities of Hiroshima and Nagasaki, leading to the death of approximately 200000 people. Enriched uranium is a crucial element of both nuclear weapons and nuclear power production. The Sun creates energy through the nuclear fusion of hydrogen nuclei into helium. It is believed that radiation exposure led to the death of Marie Curie in 1934. Nuclear energy facilities in 31 states supply low-carbon electricity to one out of every five U.S. homes and businesses. Nuclear energy facilities are able to produce abundant and affordable energy because they use an enriched form of uranium for fuel. The low and stable cost of nuclear energy helps reduce the price of electricity paid by consumers. Nuclear energy facilities are reliable, providing baseload, on-demand electricity 24/7 at 91 percent efficiency. Nuclear energy has perhaps the lowest impact on the environment of any other energy source, providing more than 70 percent of the country’s emission-free power. The safe operation of each nuclear facility is held accountable by professional, expert oversight in the U.S. Nuclear Regulatory Commission. American nuclear energy facilities are the most highly-regulated in the world and are subject to more regulatory scrutiny and requirements than in any other country. The average nuclear energy facility generates $16 million in state and local tax revenue annually. These tax dollars benefit schools, roads and other state and local infrastructure. The U.S. nuclear energy industry generates approximately $470 million a year in total output for the local community and nearly $40 million per year in total labor income. Each new nuclear facility creates an average of 1,400 to 1,800 high-paying American jobs during construction, with as many as 3,500 during peak construction. Operation of a nuclear energy facility requires approximately 400 to 700 direct, permanent jobs. Jobs at U.S. nuclear energy facilities today pay 36 percent more than the average salaries in the local area, and nuclear engineering jobs pay about 44 percent more than average salaries. According to a recent Gallup poll, a majority of Americans – 57 percent – say they favor the use of nuclear energy as one of the ways to provide electricity to the U.S.